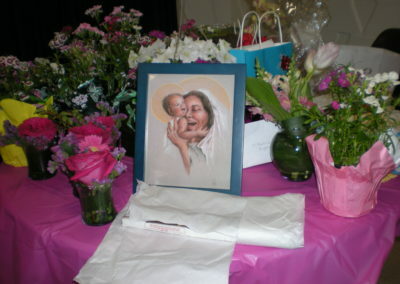 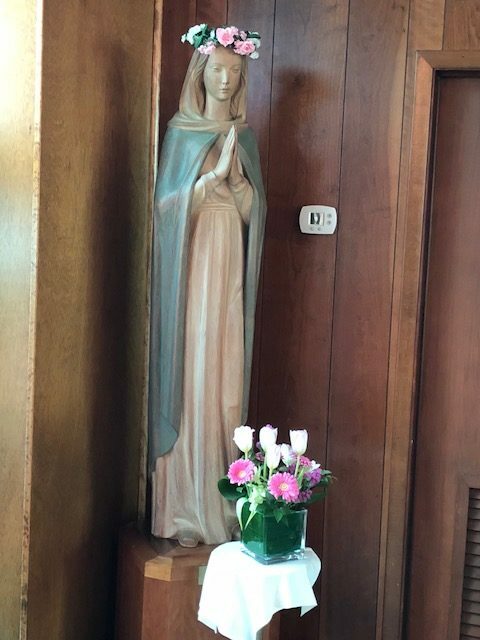 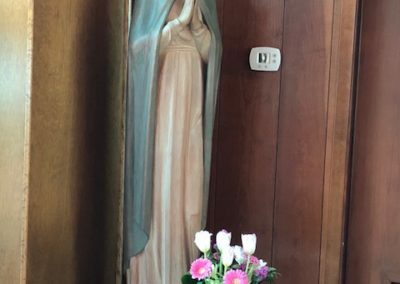 The Ladies of Charity throughout the Archdiocese of Washington celebrated the Crowning of the Blessed Mother and the Feast Day of St. Louise de Marillac at St. Ann’s Center for Children, Youth and Families. The Very Rev. 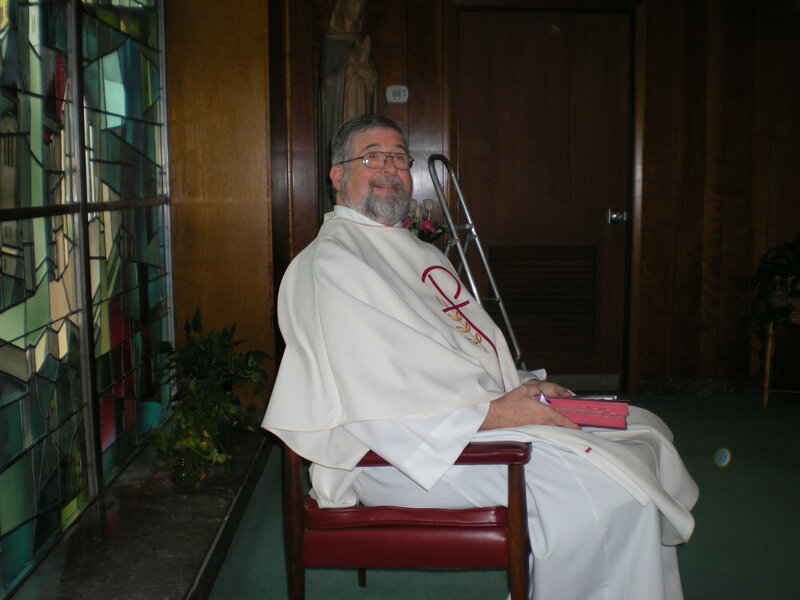 Thomas R. Frank, S.S.J. 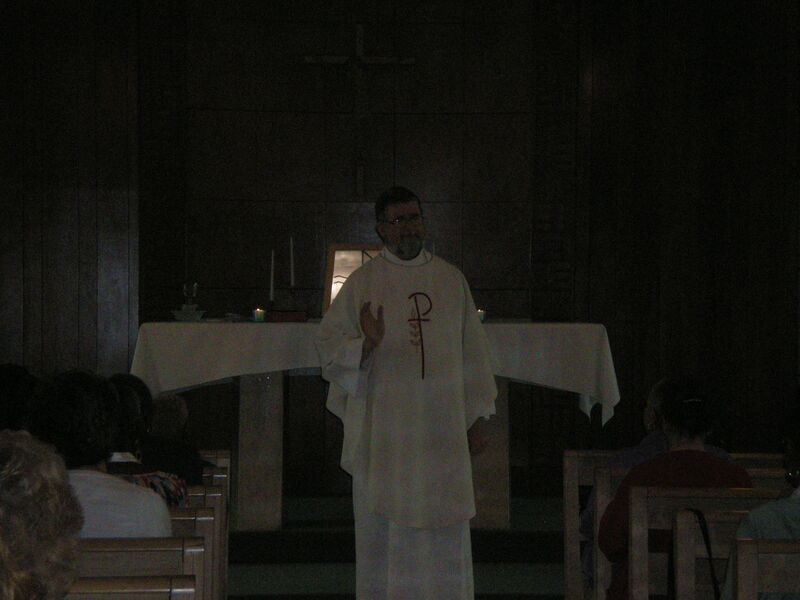 – Pastor, Our Lady of Perpetual Help Church was the Mass Celebrant/Homilist. 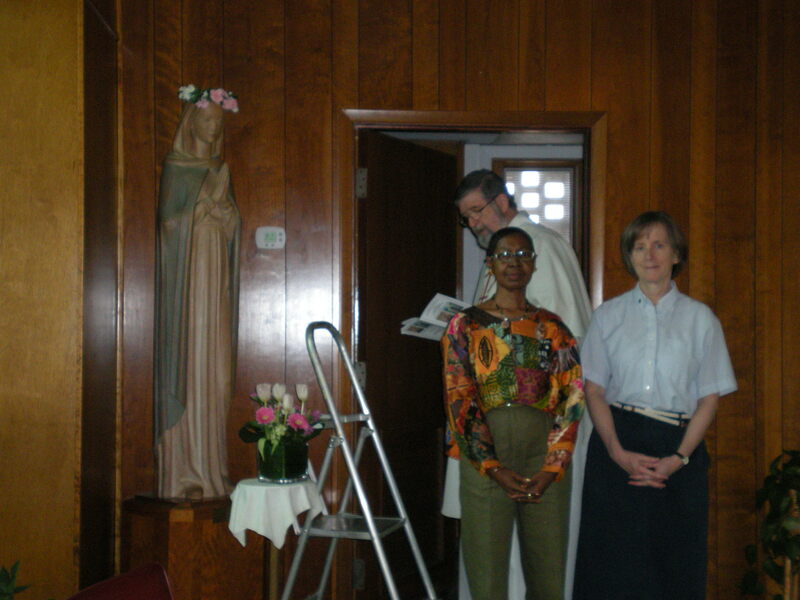 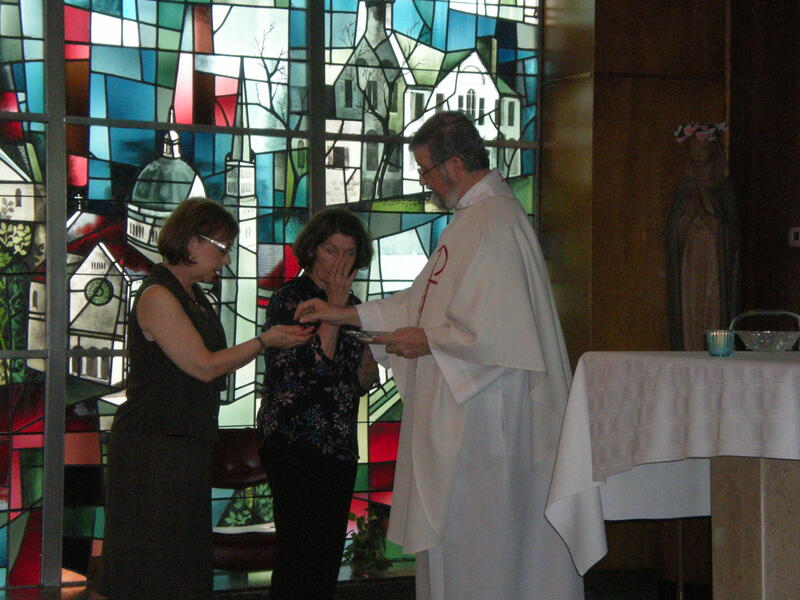 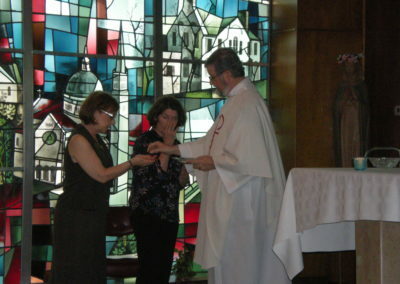 This year Gloria A. Lessington and Sister Mary Bader, DC assisted in the crowning of the Blessed Mother. 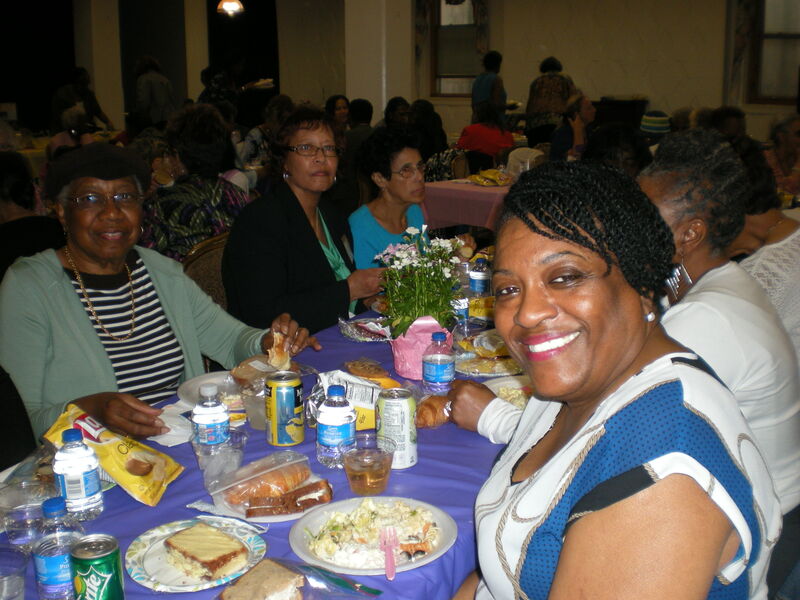 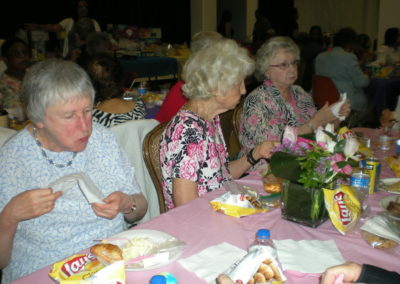 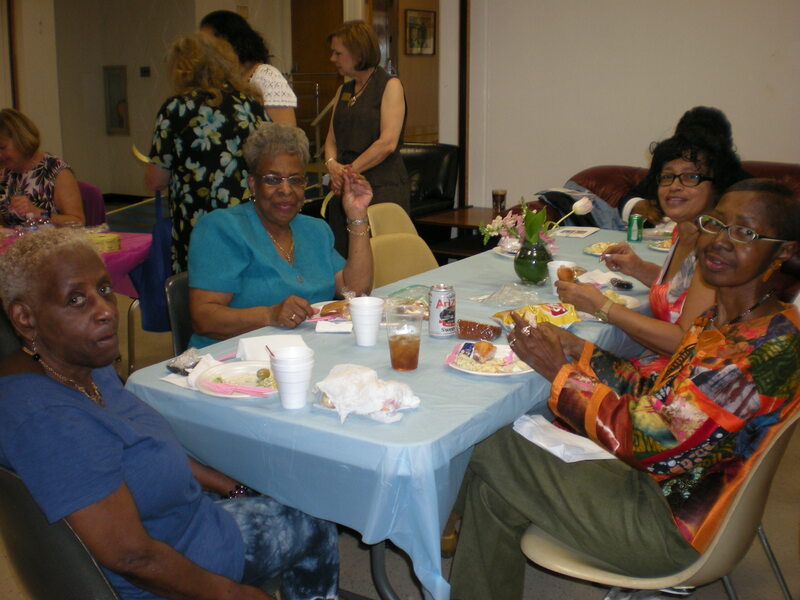 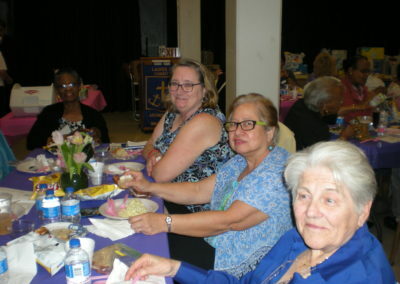 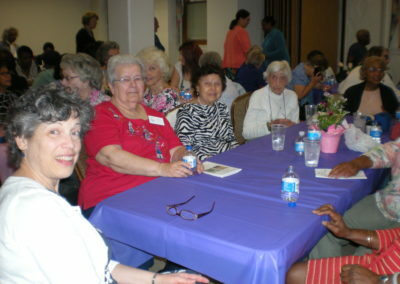 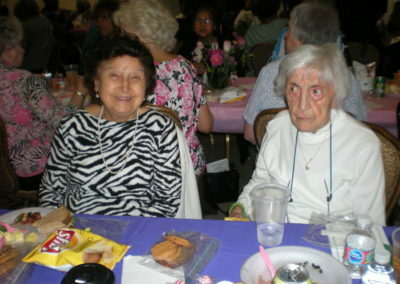 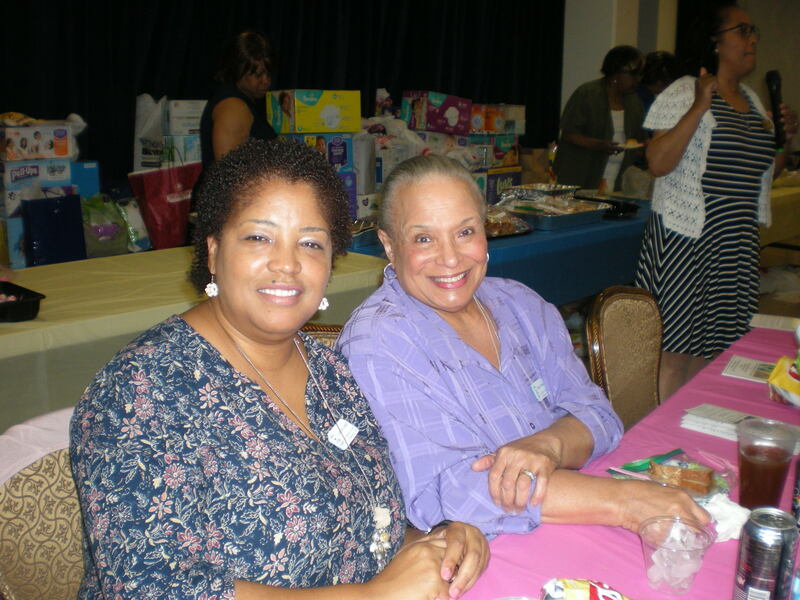 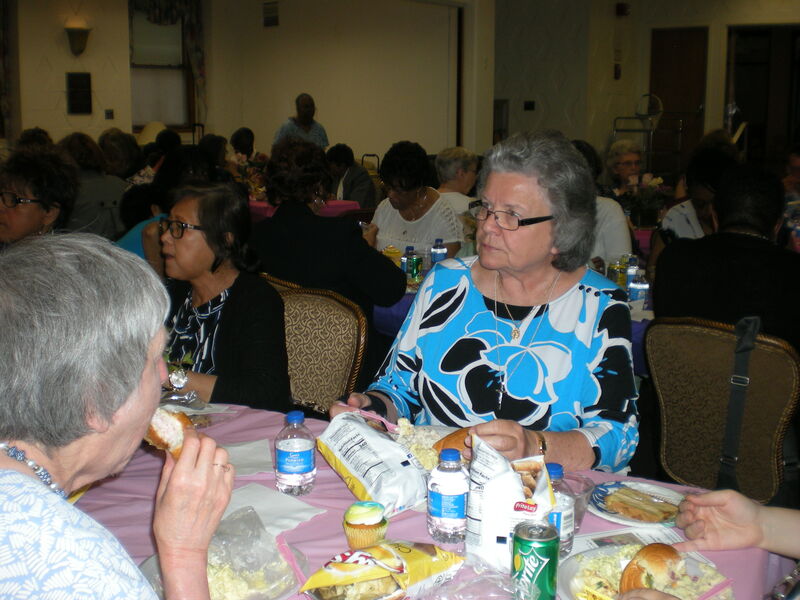 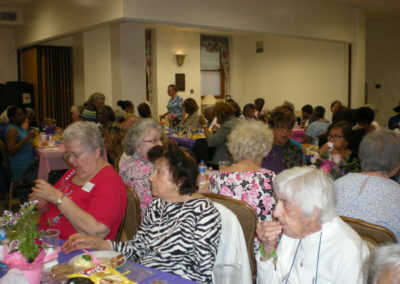 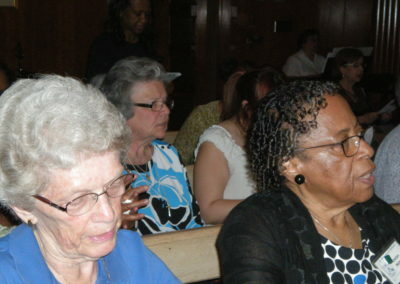 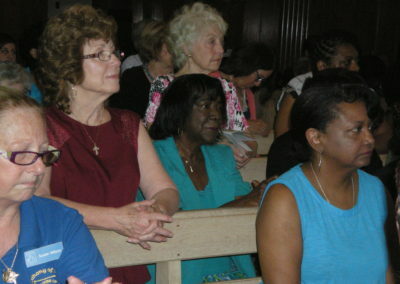 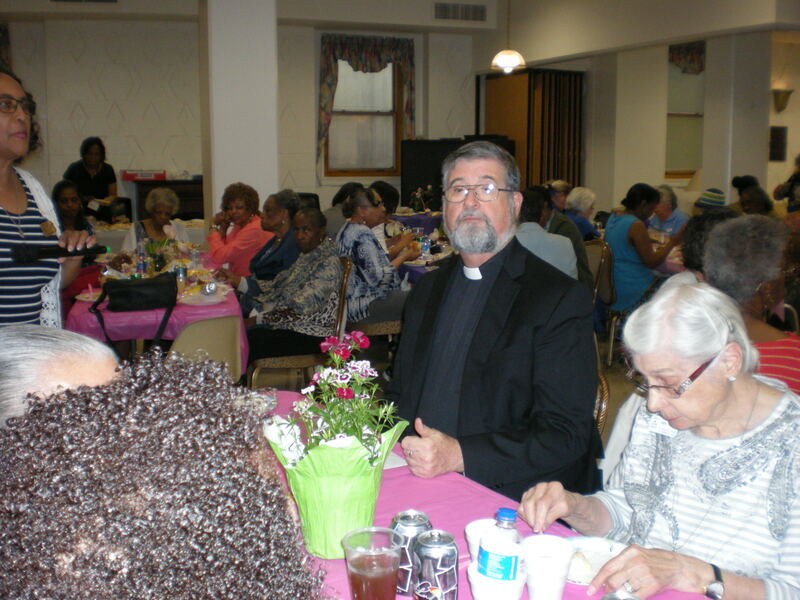 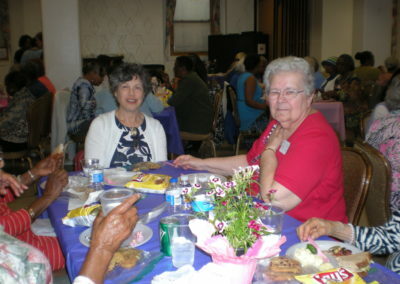 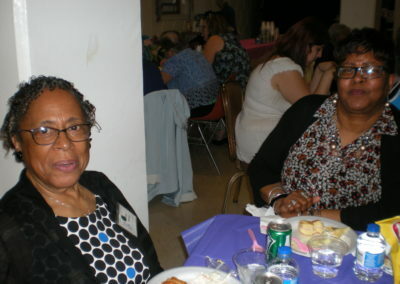 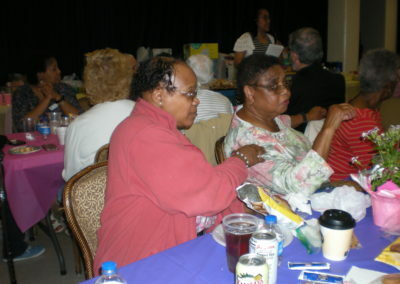 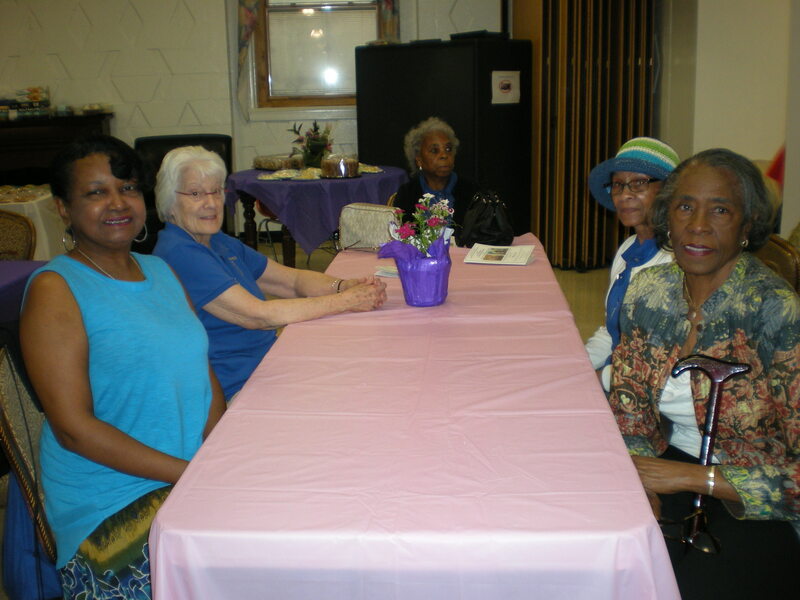 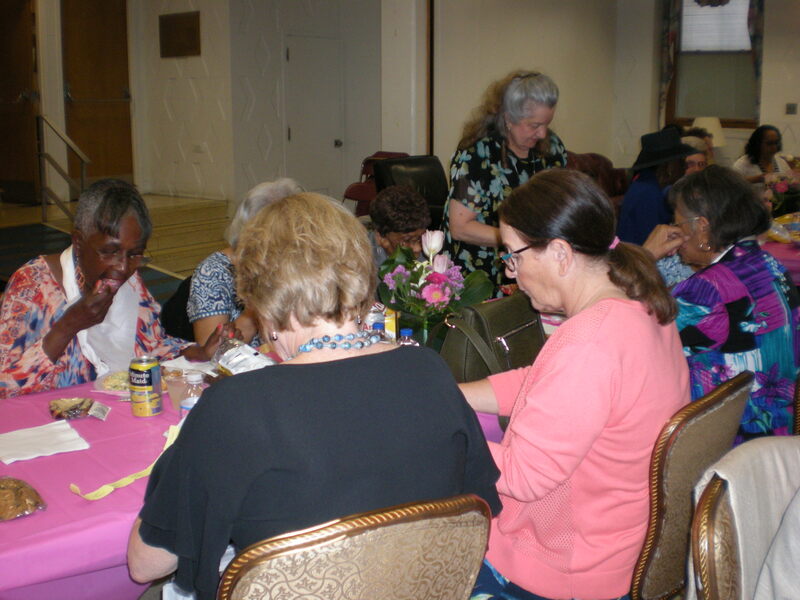 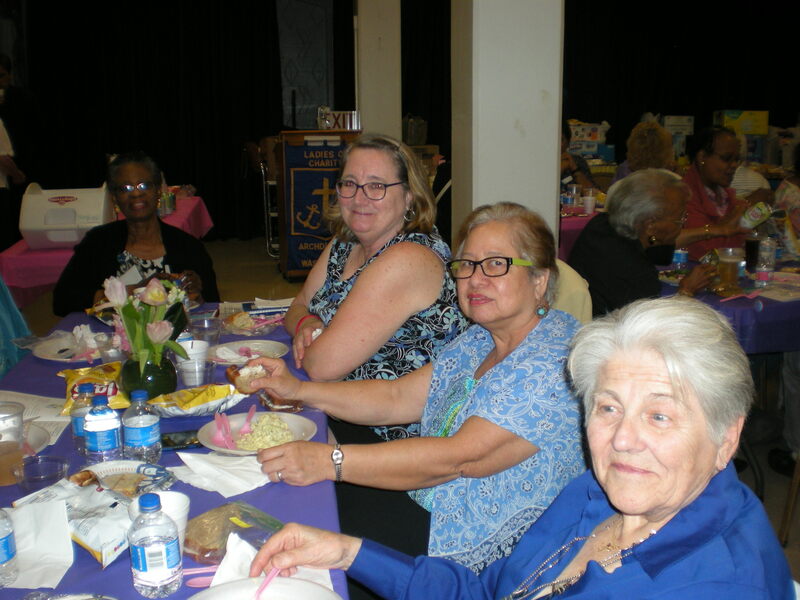 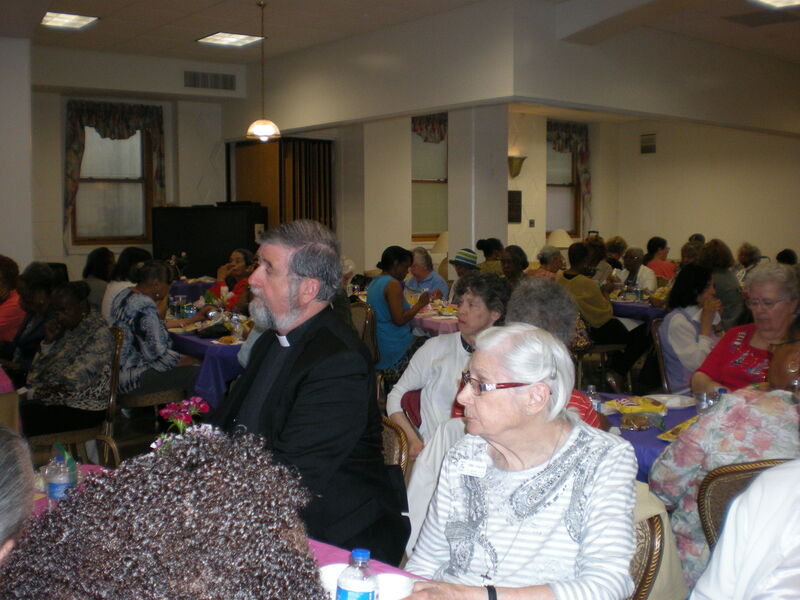 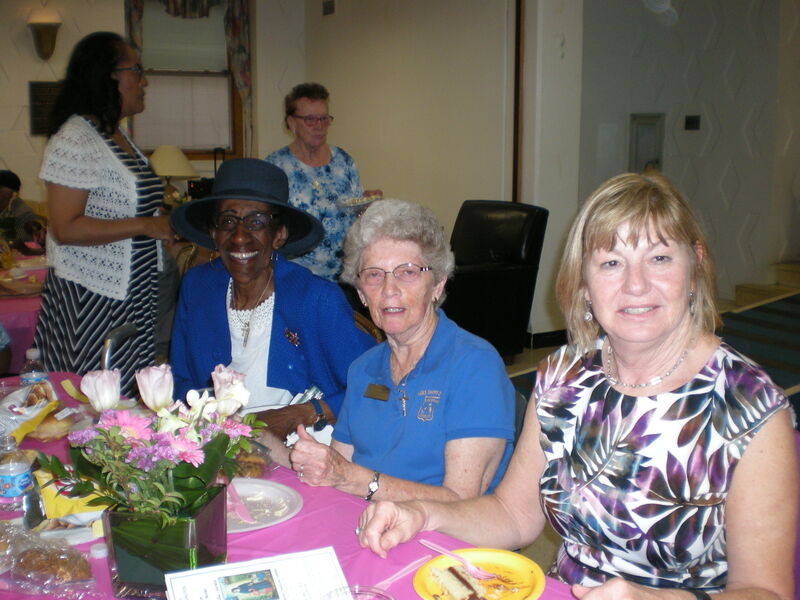 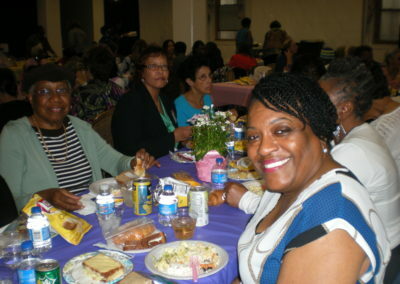 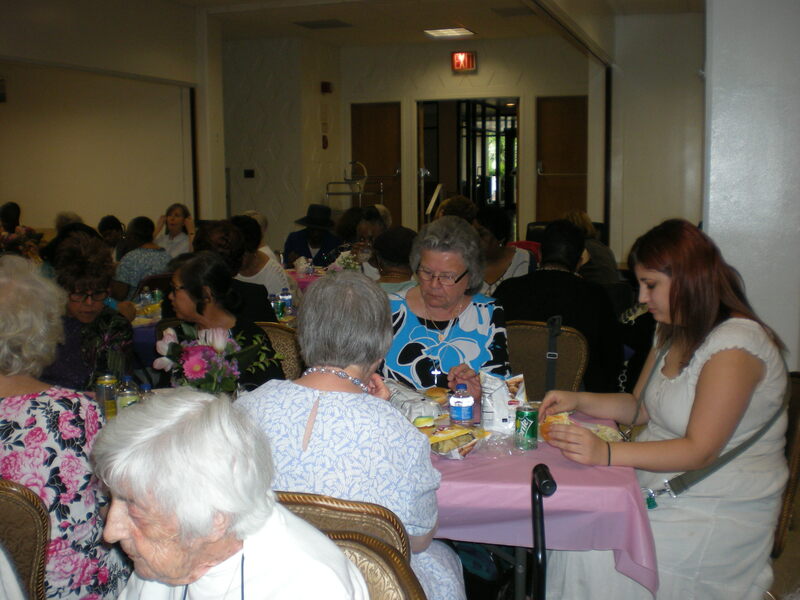 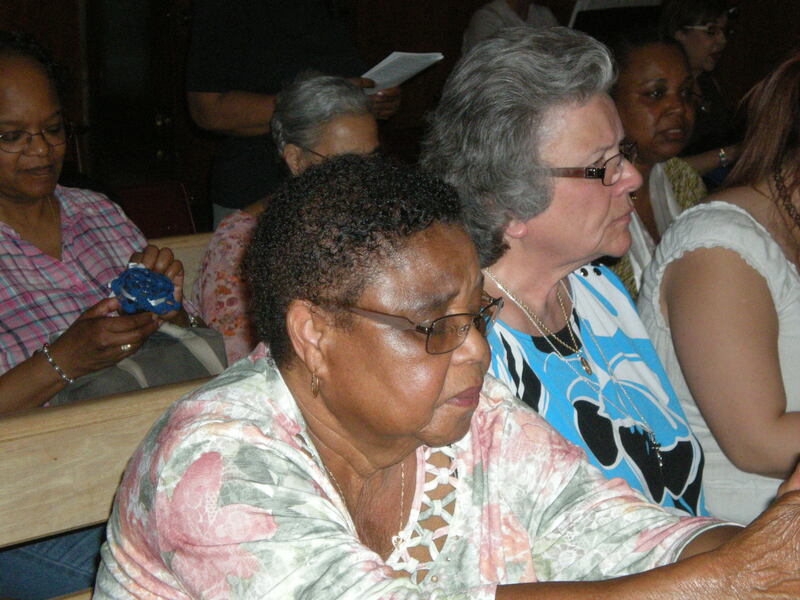 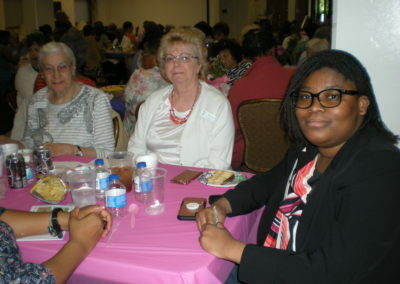 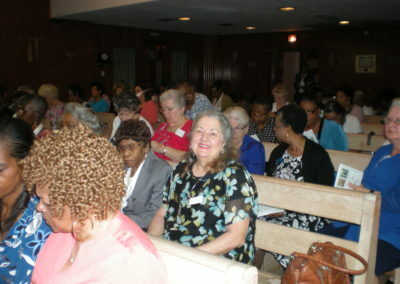 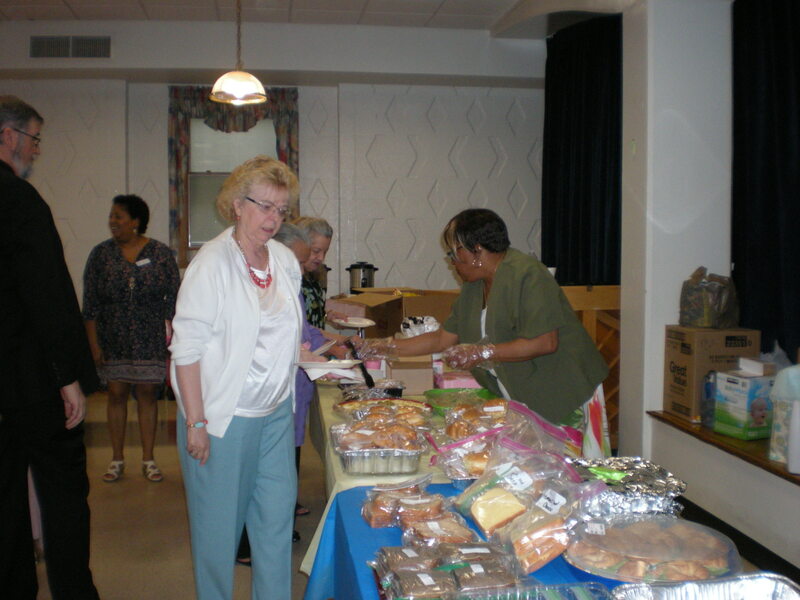 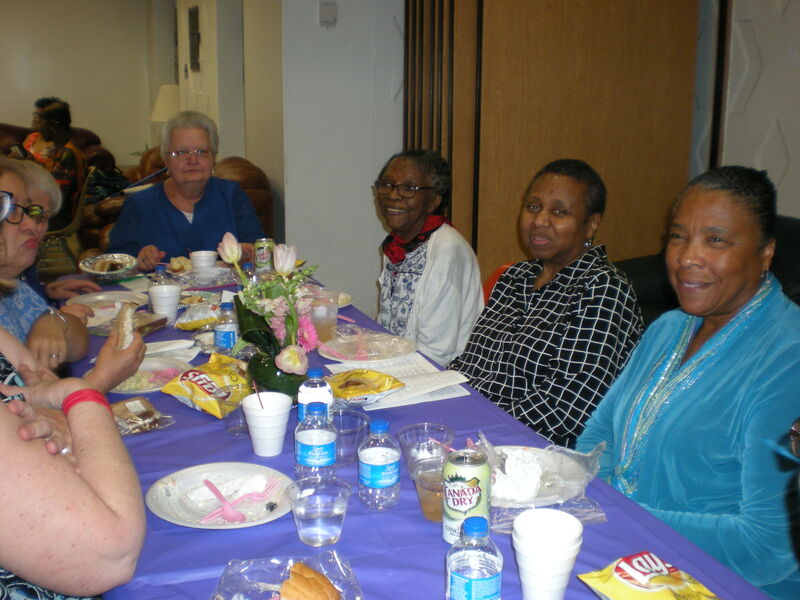 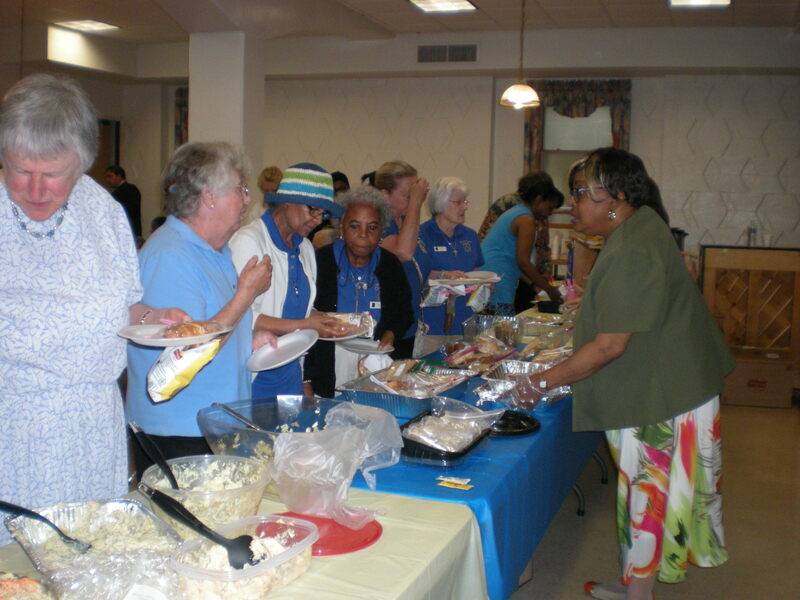 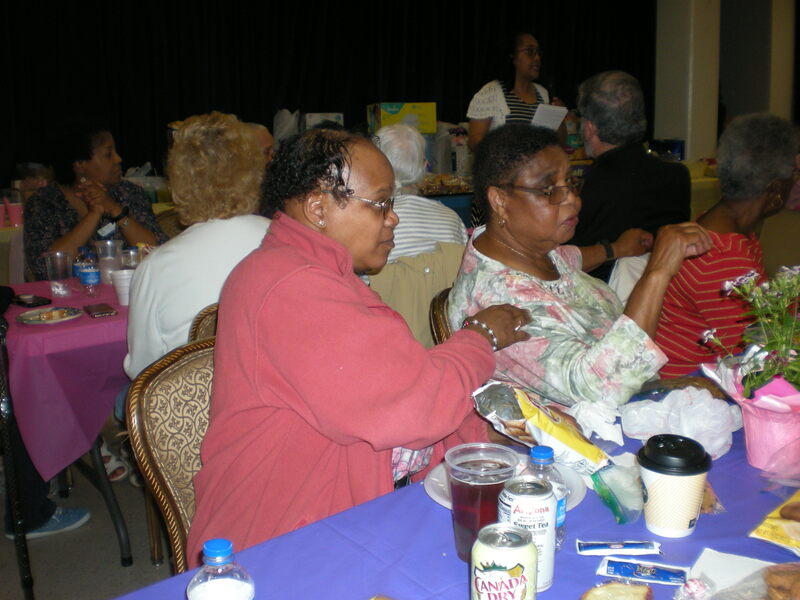 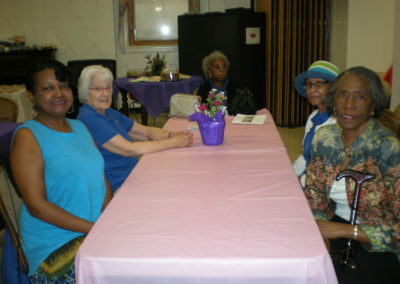 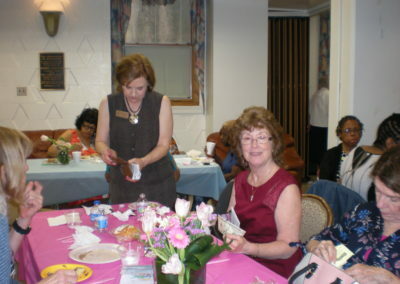 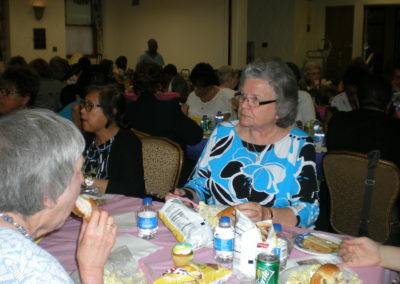 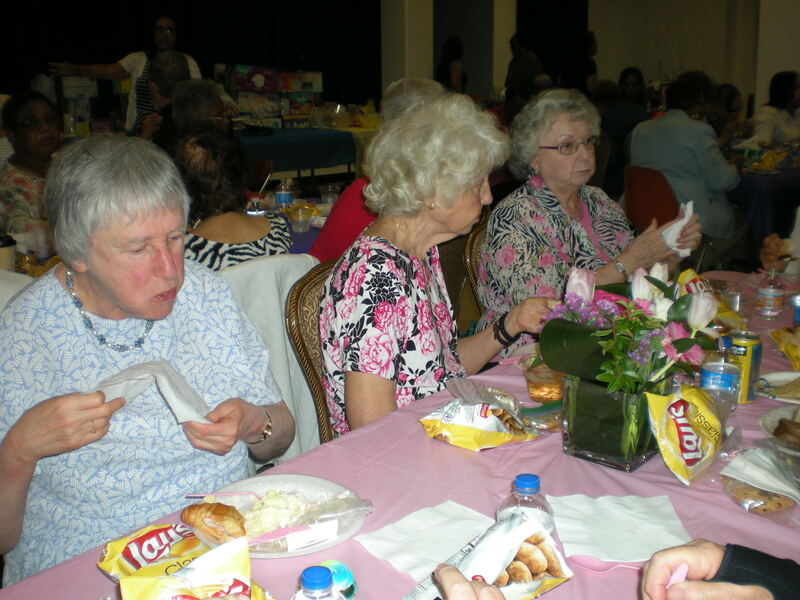 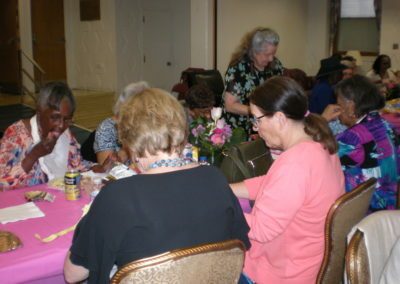 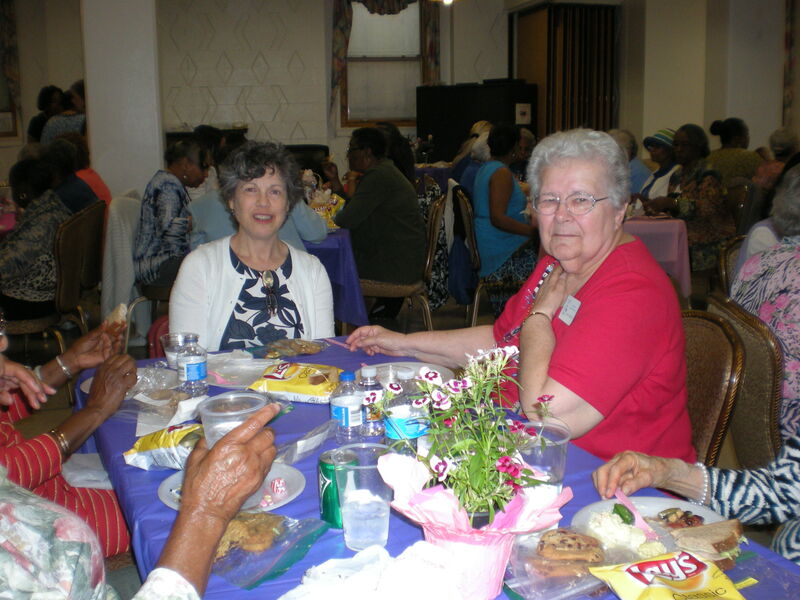 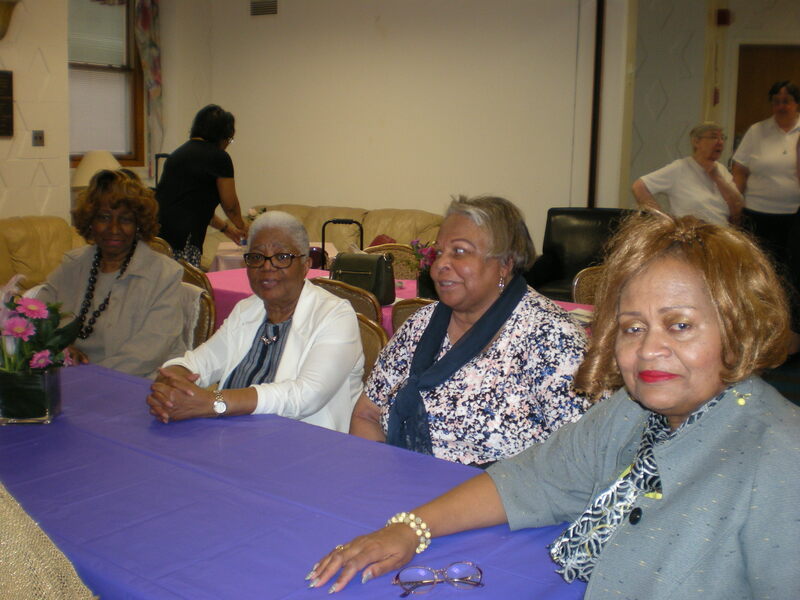 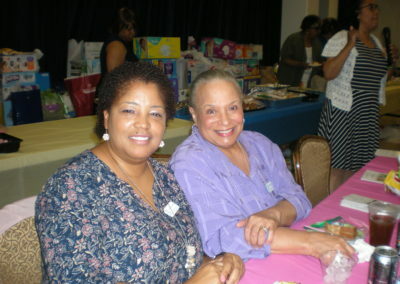 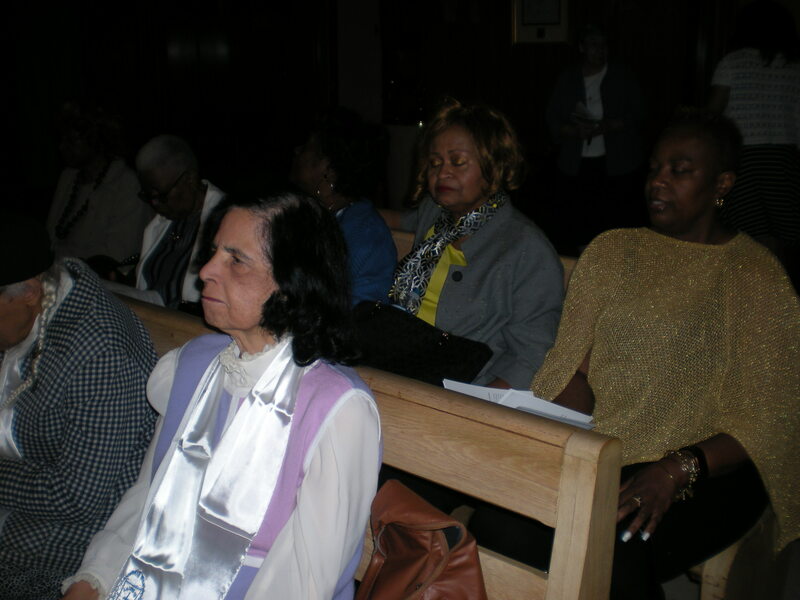 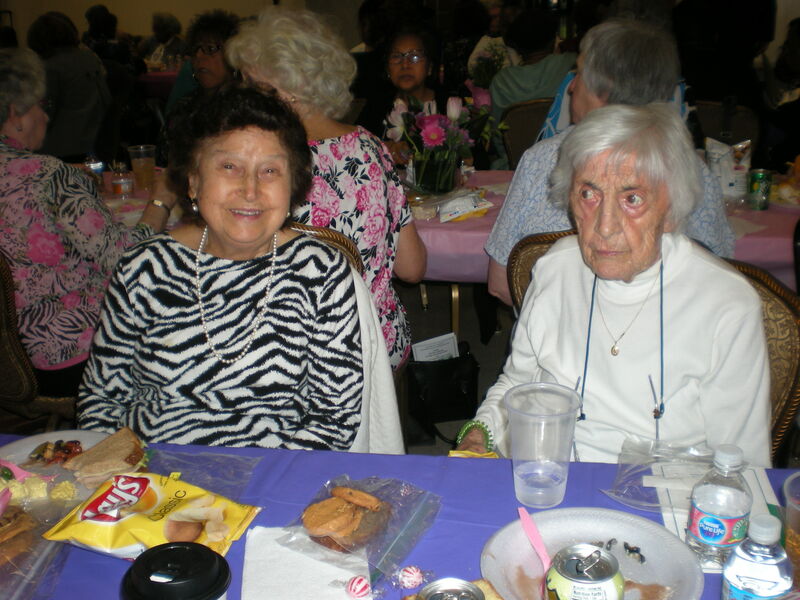 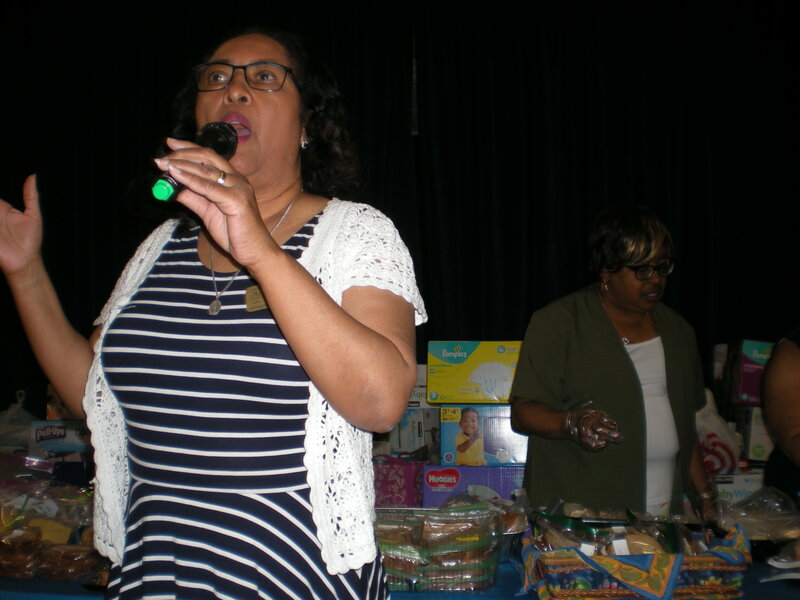 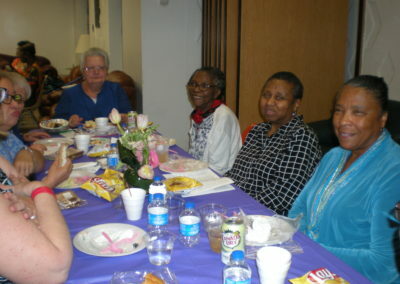 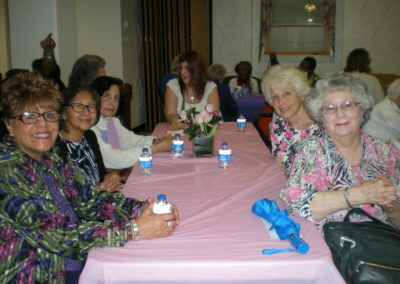 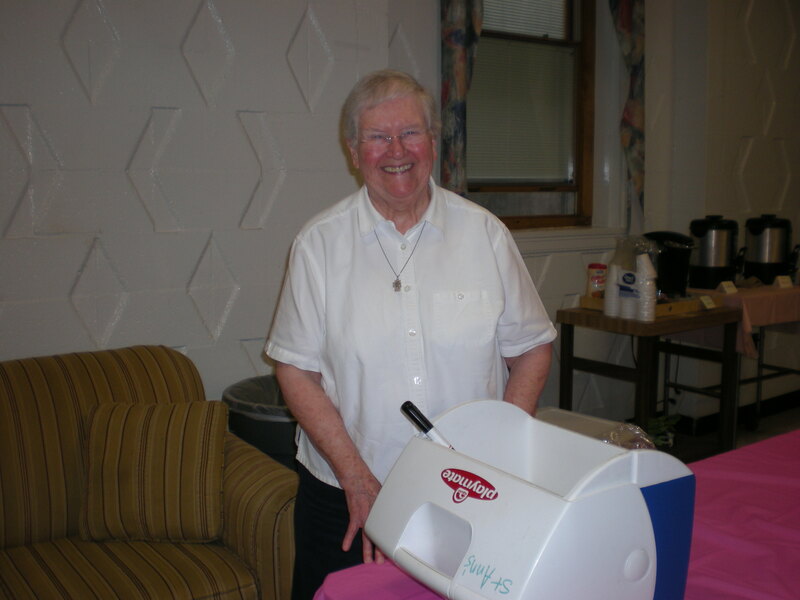 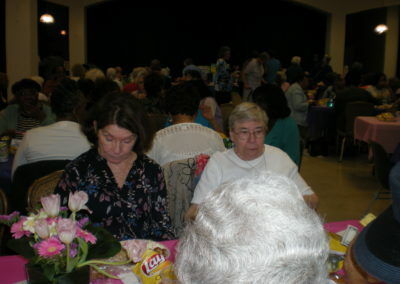 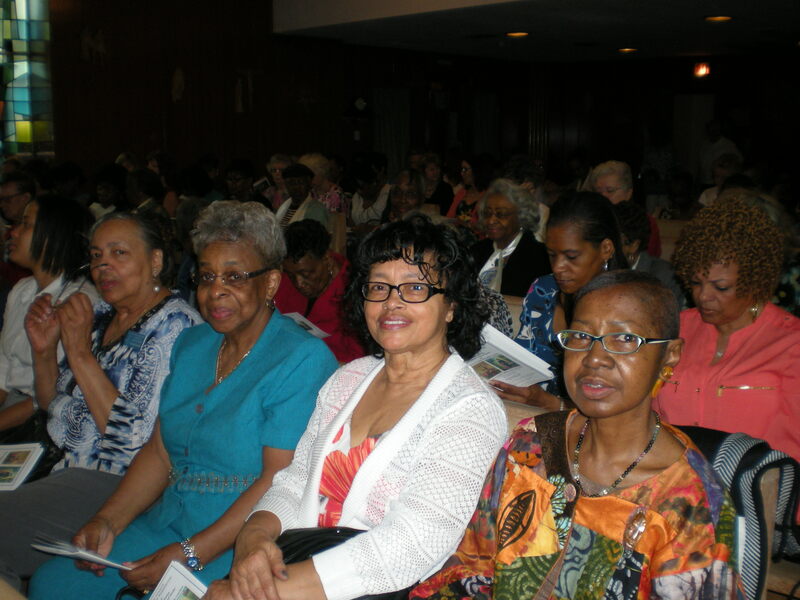 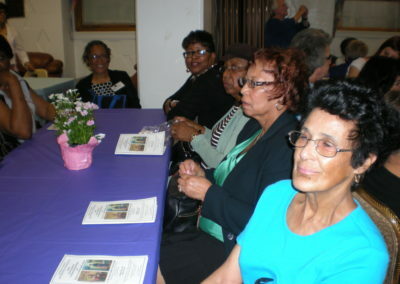 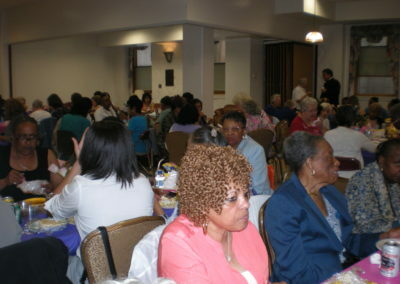 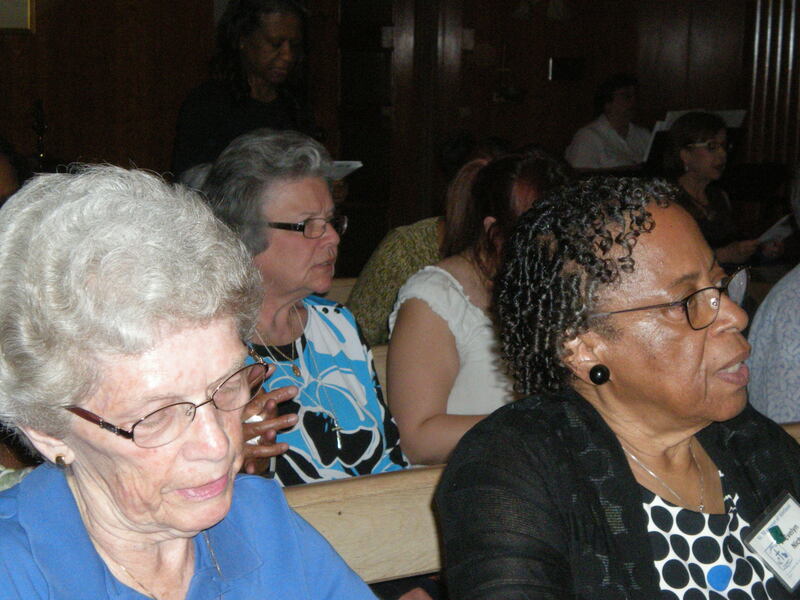 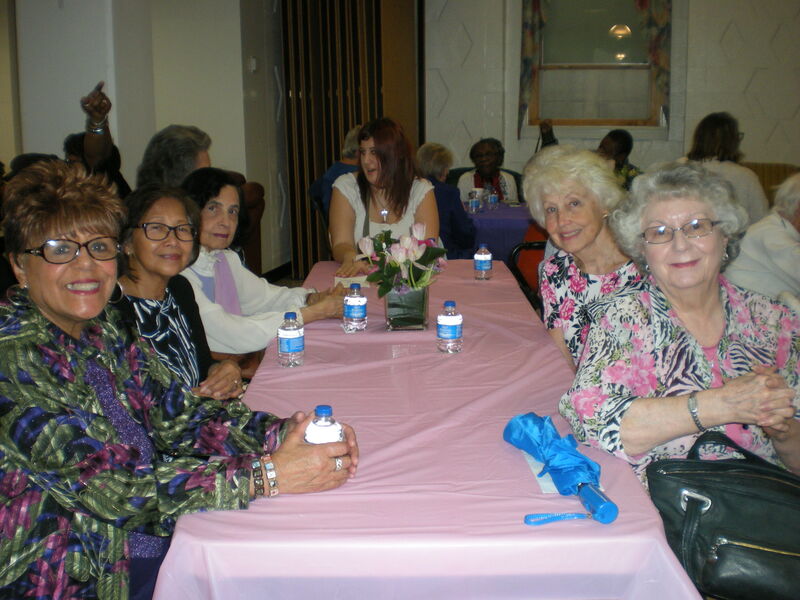 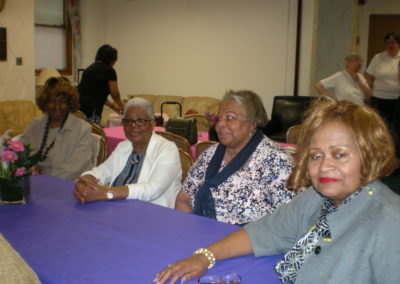 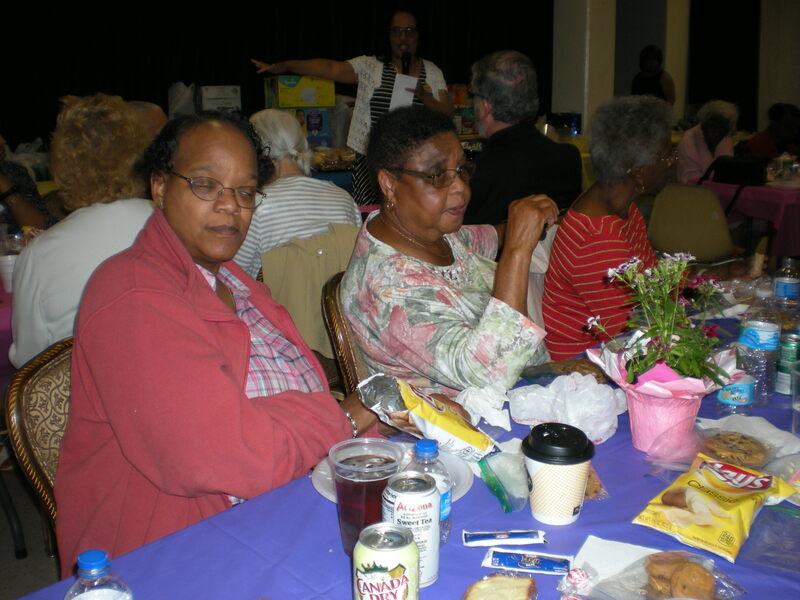 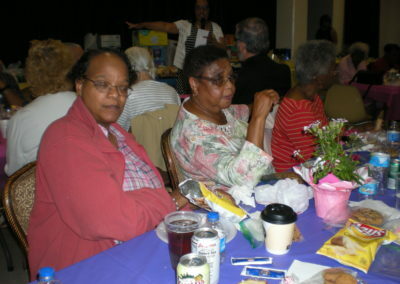 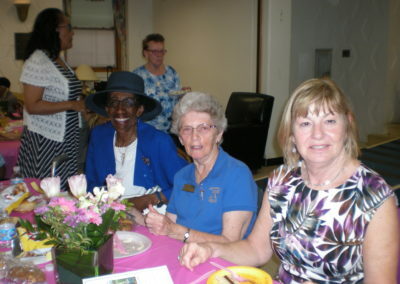 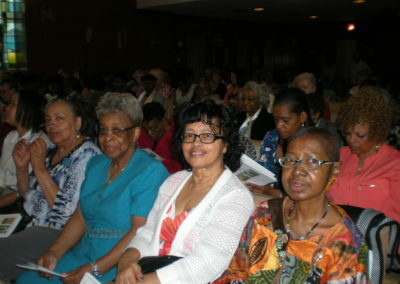 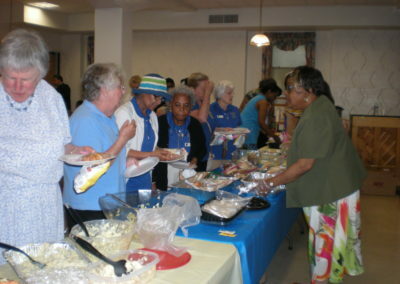 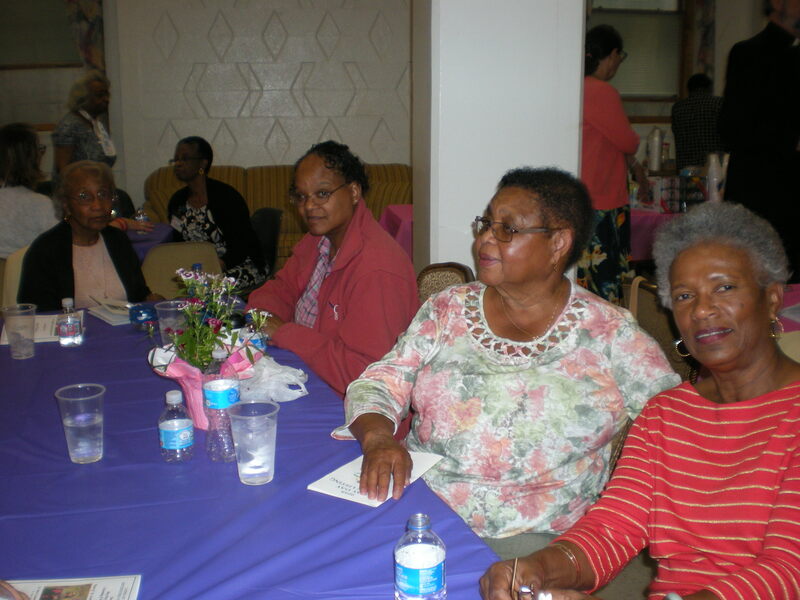 After Mass, the Ladies enjoyed lunch and participated in a raffle and 50/50 drawing. 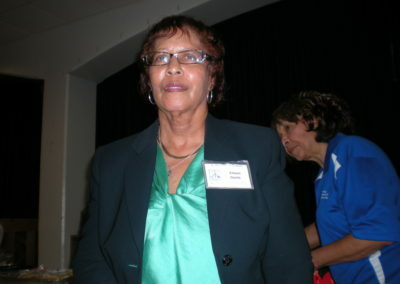 Eileen Davis of St. Margaret of Scotland – Prince George’s County was the winner of the 50/50 prize. 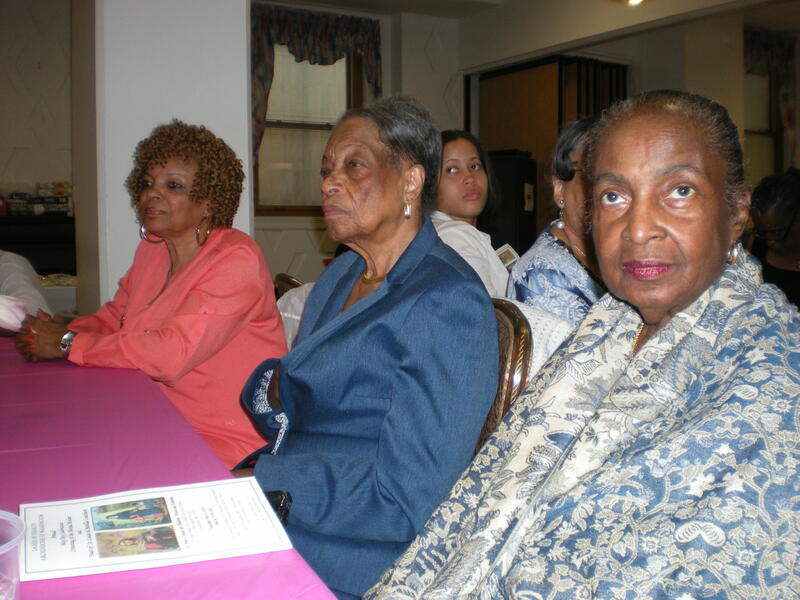 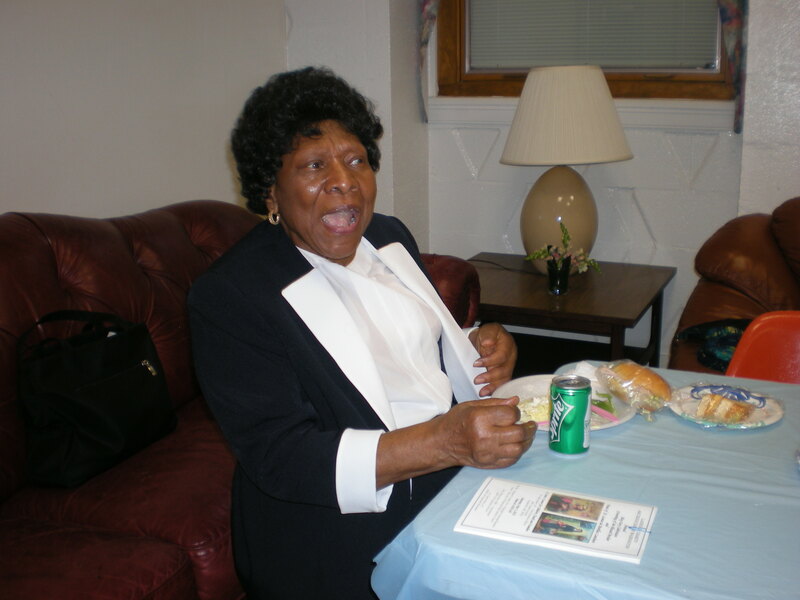 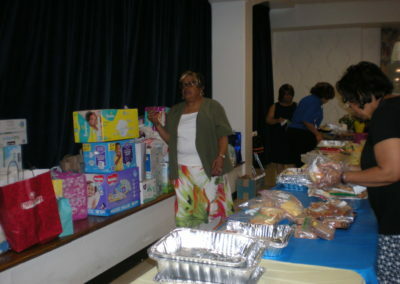 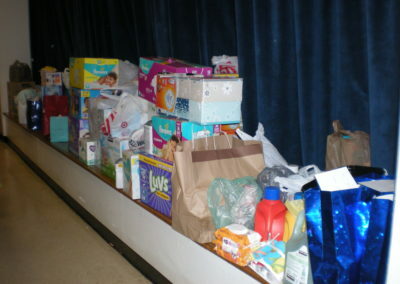 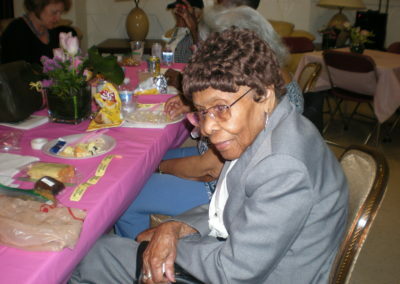 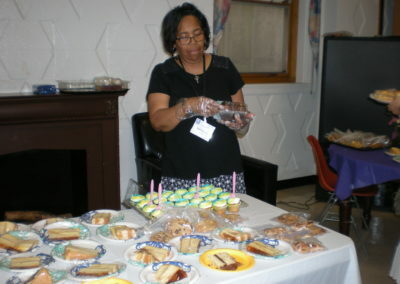 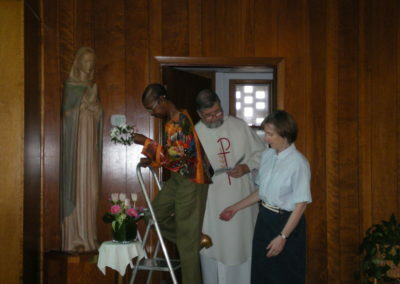 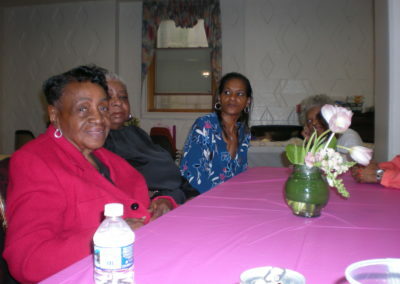 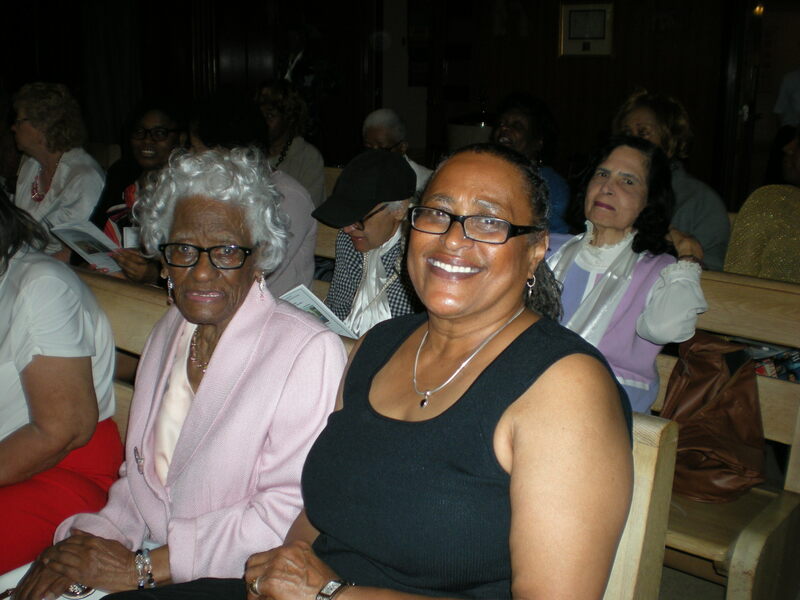 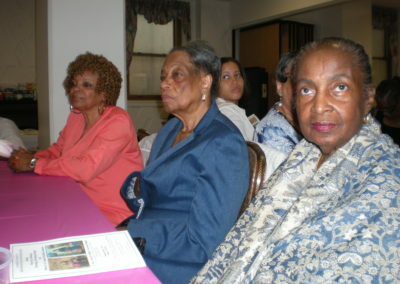 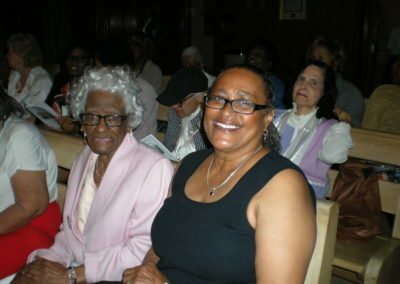 The members brought many gifts for the residents of St. Ann’s as they do every year. 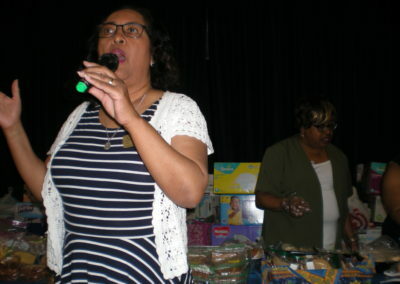 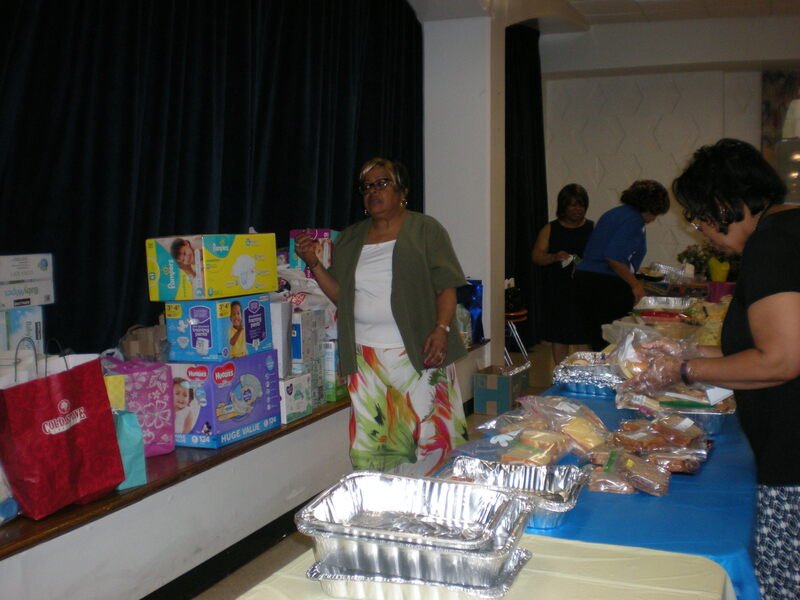 However, this year the Ladies of Prince George’s County decided to give a monetary donation for the residents to use as needed. 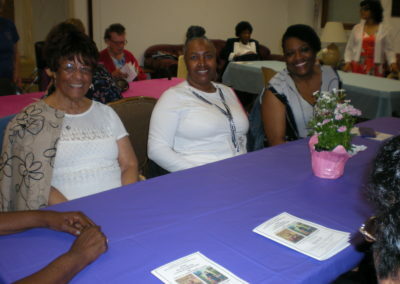 The PG County Ladies presented Sister with a $910.00 donation. 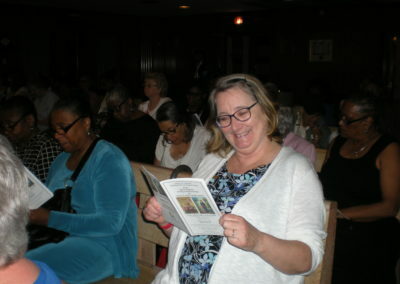 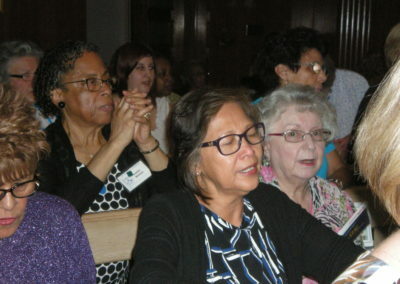 Sister Bader as CEO of St. Ann’s addressed the group and was profoundly grateful for all the gifts given to St. Ann’s not only on May Day, but throughout the year. 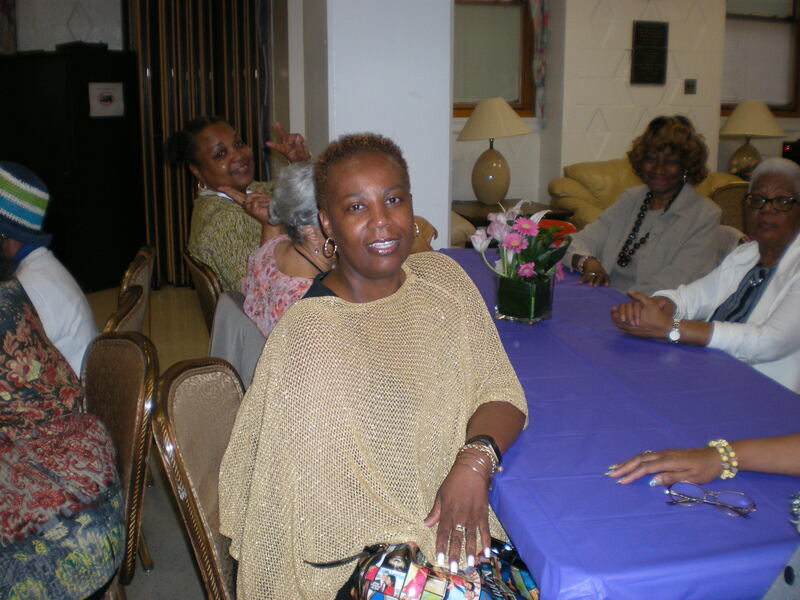 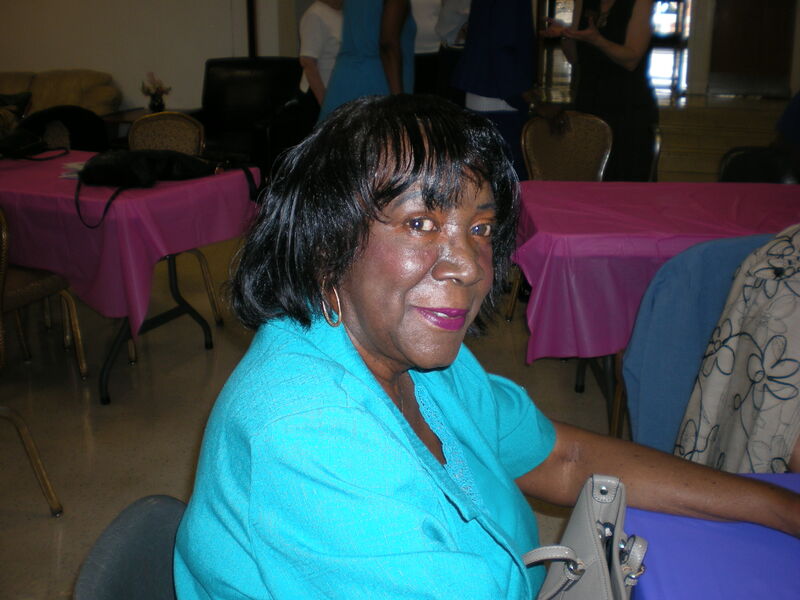 She reported that 7 families completed the program at St. Ann’s and have all moved into their own apartments somewhere else. 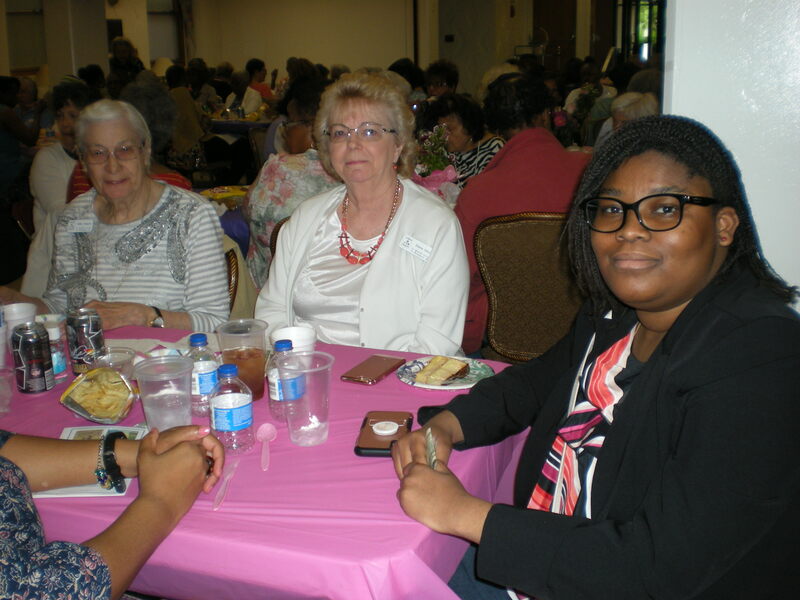 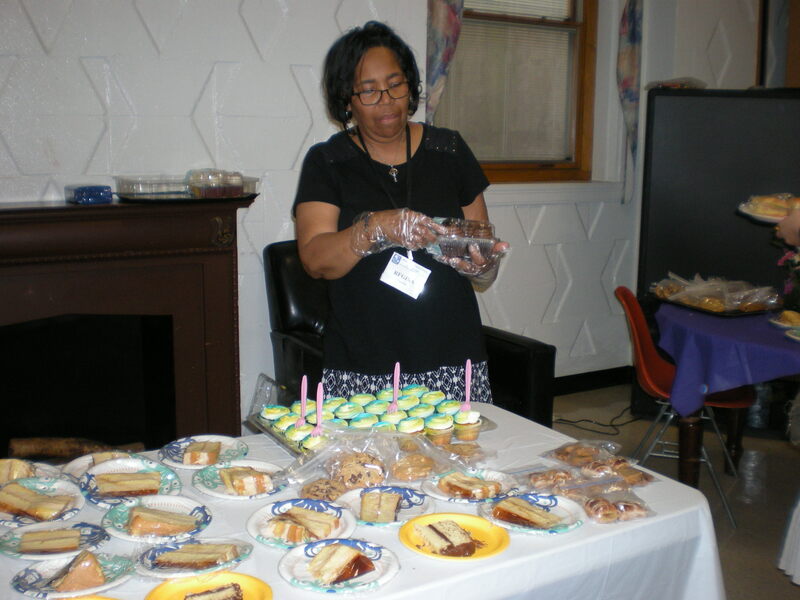 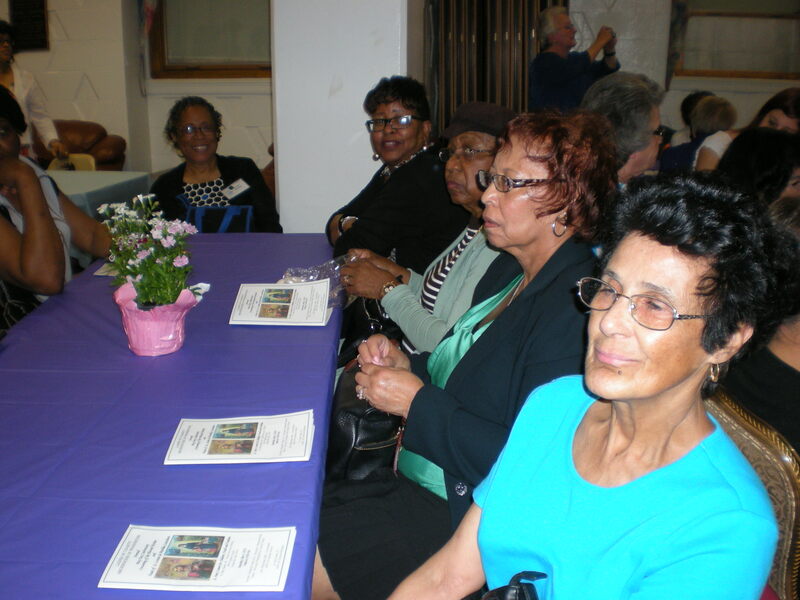 Viola Johnson-Robinson, President of the Archdiocese of Washington Board of Directors for the Ladies of Charity thanked everyone for coming out and especially thanked the members of the board for their dedicated service. 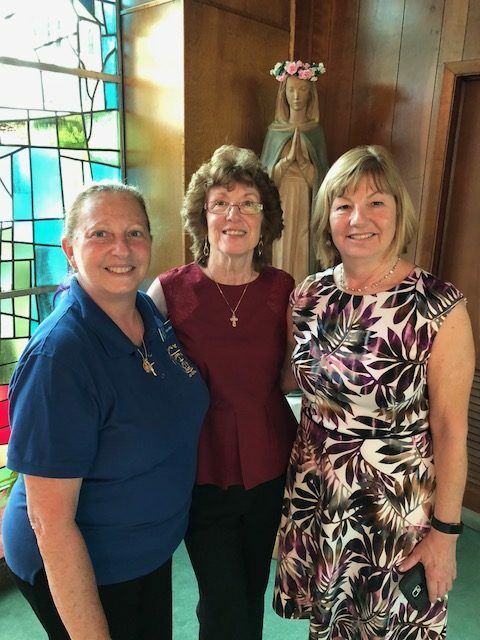 Deborah Self, Middle Atlantic Regional Director spoke to the Ladies about the upcoming National Assembly to be held in Pittsburgh, PA from September 20-22, 2018. 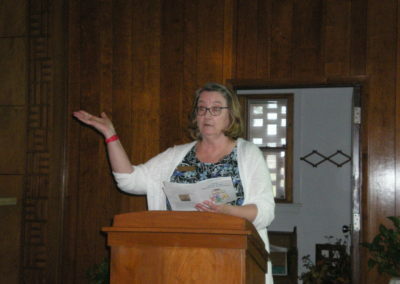 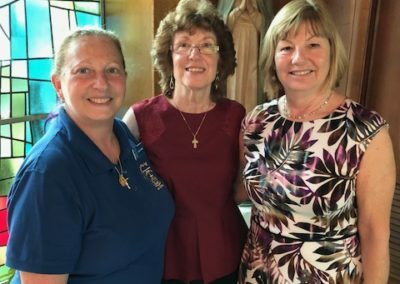 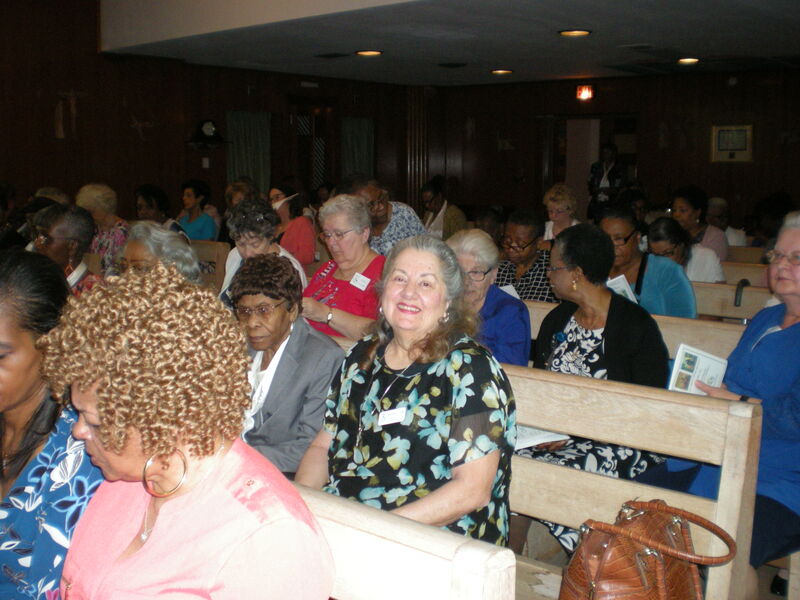 Lucy Saunders, Lay Vincentian Spiritual Moderator announced a “Save-A-Date” for the upcoming ADW Ladies of Charity Annual Retreat to be held on October 13, 2018 at the St. John Paul II Shrine. 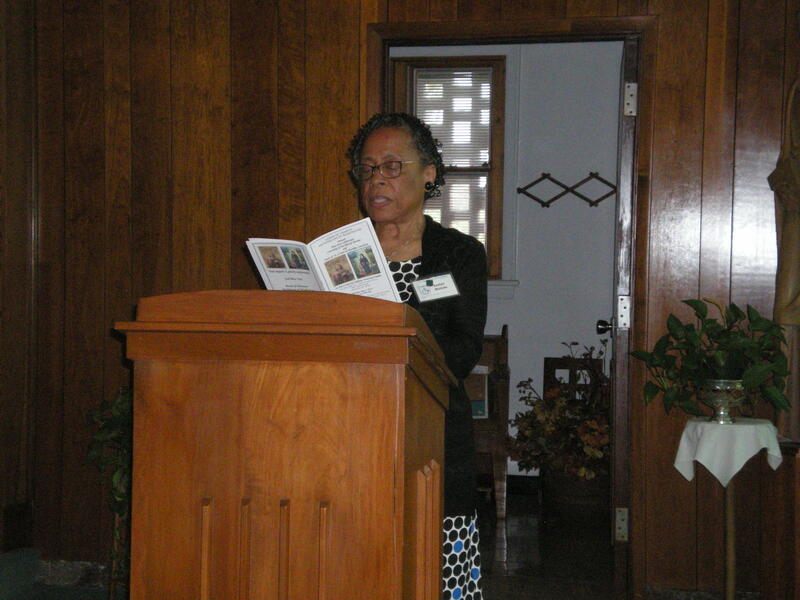 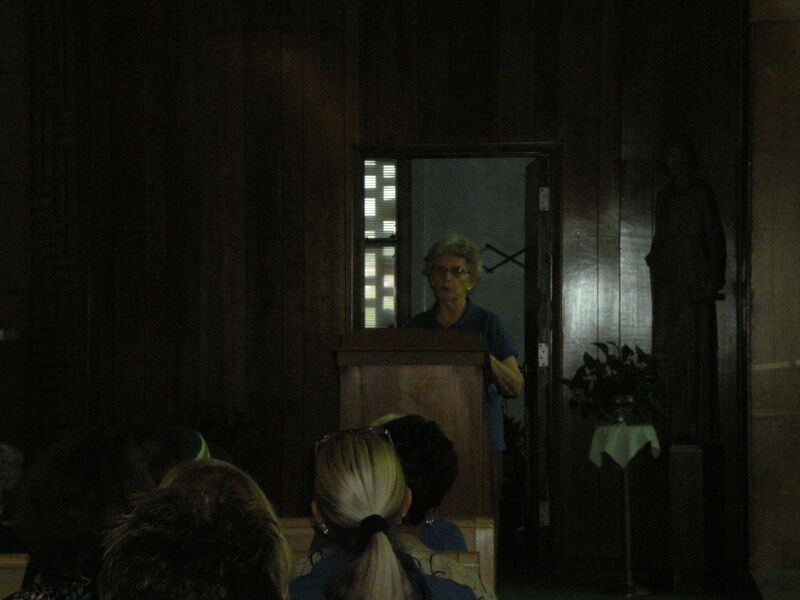 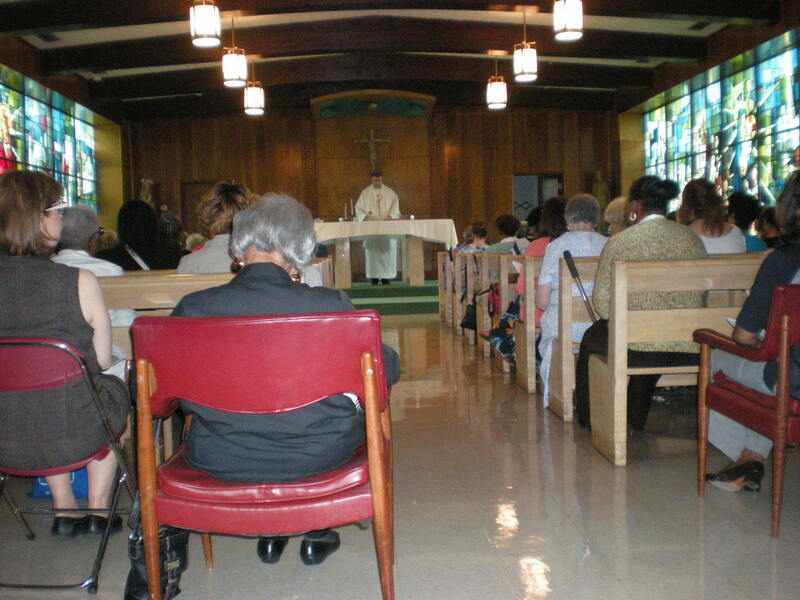 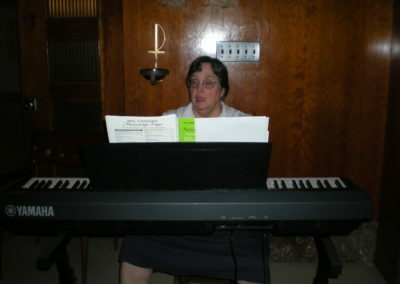 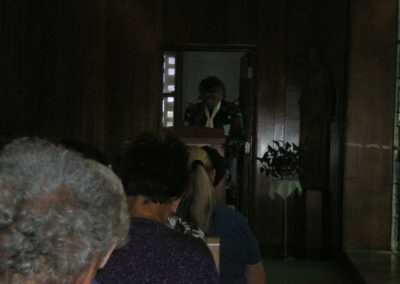 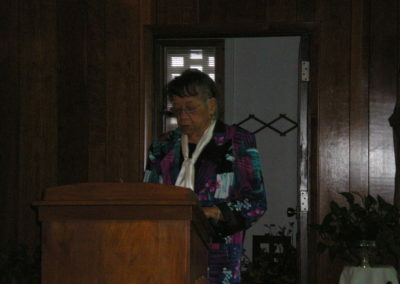 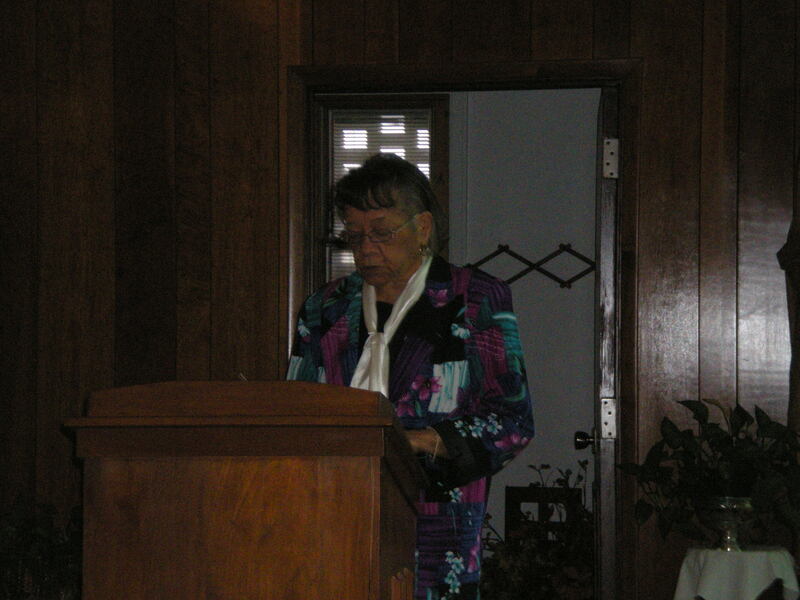 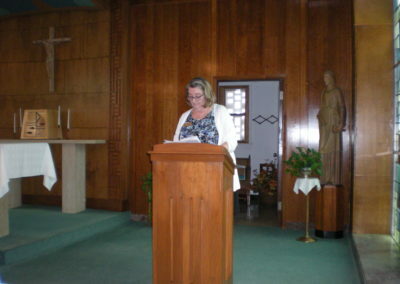 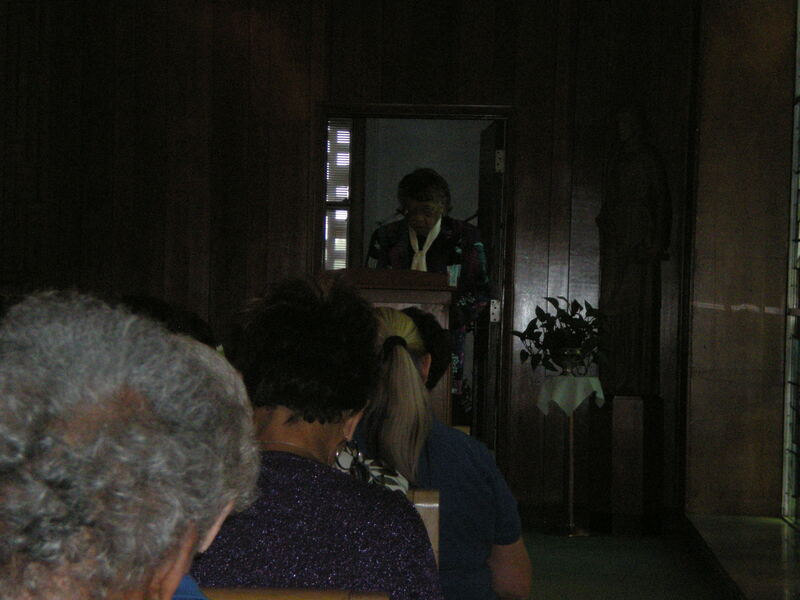 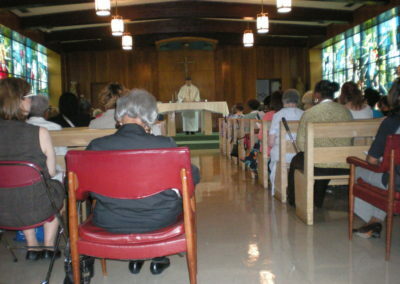 Sister Claire Debes, DC – ADW Spiritual Moderator closed the gathering with a beautiful prayer. 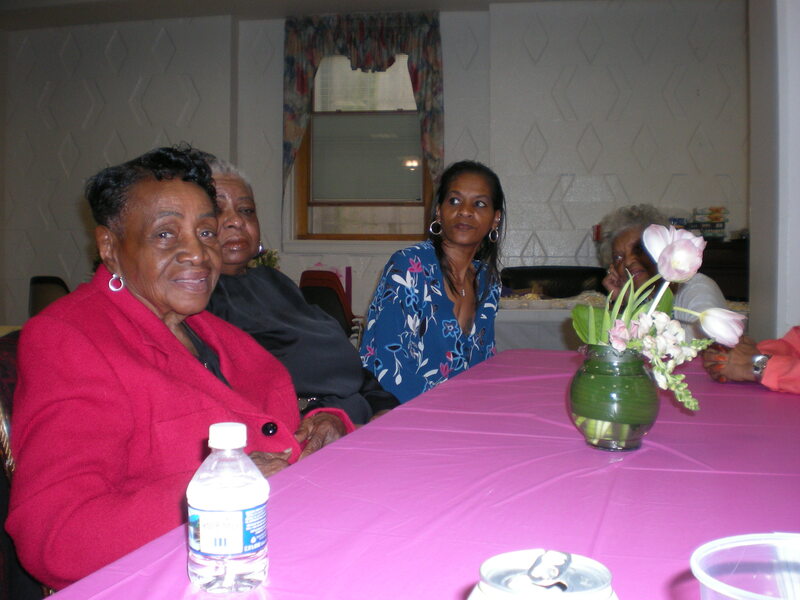 It appeared a good time was had by all. Toni, thanks for sharing the pictures. 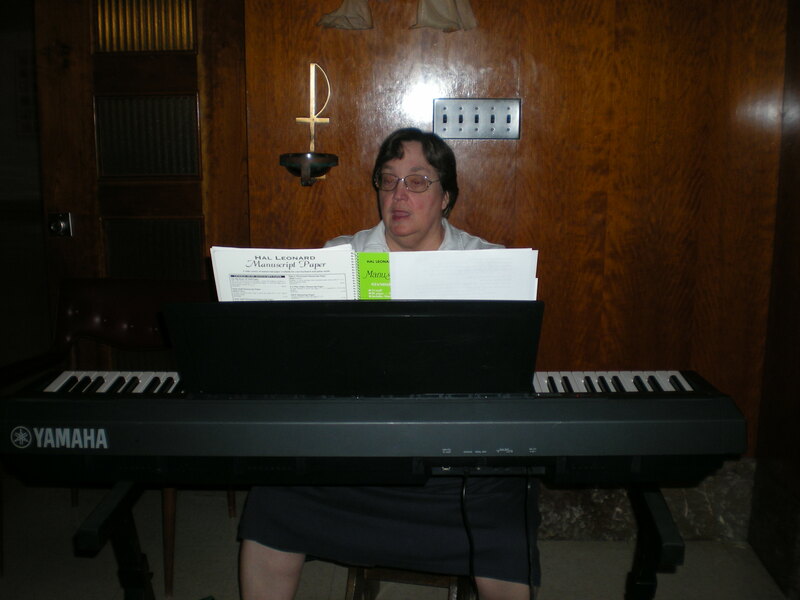 You are amazing at what you do. 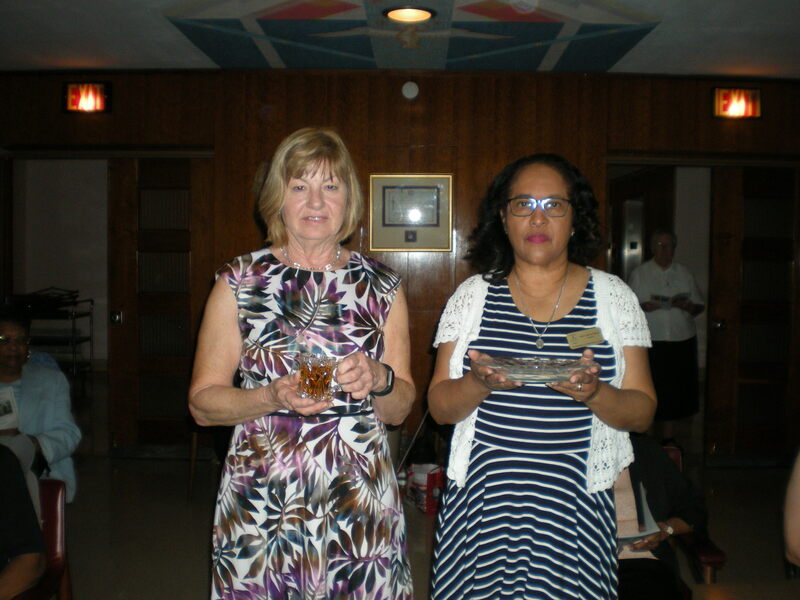 We are very Blessed to have you in our organization. Great pictures!! Looks like you captured everyone present. Thanks so much for photographing such a wonderful & spiritual day celebrated by the Ladies of Charity Archdiocese of Washington.